Three days only! 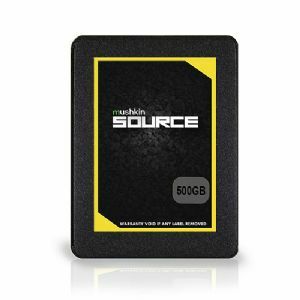 Mushkin Source SSD – 500GB Capacity – $89.99USD! Expand your system’s capabilities by upgrading your computer storage into the Mushkin Source SSD. The 500GB Source Solid State Drive from Mushkin is a dependable storage device for accommodating a large number of data and files you’ve been wanting to keep. With a total storage of 500GB, it makes room for your crucial data and files like documents, spreadsheets, presentations, photos, videos, applications and your favorite games. With maximum read and write speeds of up to 560Mbps and 520Mbps, respectively, it guarantees fast transfer speeds, regardless of the size.